Annie May Weightman and Violet Cobble are best friends and neighbors. They live in Cimarron County, Oklahoma, during the Great Depression. This is their story, told in two voices. Annie is happiest on the ground, sifting through the dust for traces of the past. But Violet is a dreamer always playing make believe to escape, to fly away from the dusty land. 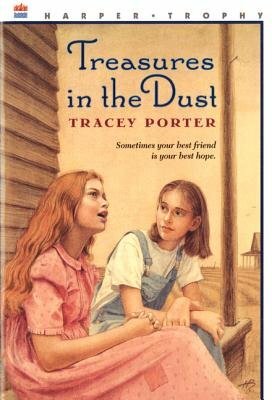 In this beautifully crafted first novel, poet Tracey Porter joins together two unique voices to tell a larger story of America, its hopes and dreams, during a time when thousands fled their prairie homes in search of work, food, and shelter. Annie and Violet's story is one of friendship and courage--treasures shining through in the face of hardship.